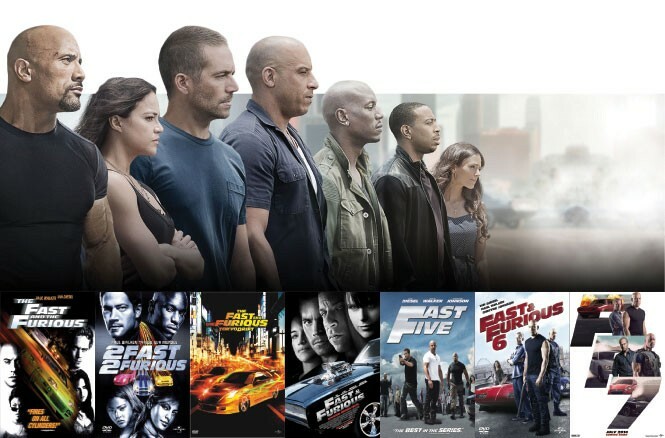 Scott Renshaw: As we approach what may or may not be the finale of this particular incarnation of the Fast & Furious series (review not available at press time), I wanted to try to wrap my head around why it's such a big deal to so many people. Because, while vroom-vroom and boom-boom is always going to have a certain hard-core fanbase, I struggle to understand how people think that this series has done those things particularly well. Danny Bowes: I can't speak for all properly sophisticated cinephiles, obviously, but for me, the appeal begins with the tone, which has the heightened, aggressive and sincere quality of about three shots of tequila. Rob Cohen and John Singleton both instinctively "got" that tone, but Justin Lin embraced its totality and refined it by essentially swallowing the worm. Also, the cast has fantastic chemistry and, to the last, shares the ability to maintain a hair's distance from bursting out laughing at all times. S.R. : The cast-dynamic thing makes sense to me, and there was an inspired quality to pulling all the characters together so relatively late in the series. My problem has been that, as action movies, I think they've often been terribly made. Lin, in particular, had no idea how to edit an action sequence so that it made a lick of sense. As they got more over the top—"Hey, let's drag a safe around Brazil, or chase a tank! "—these movies were all about fun concepts with nobody in charge who could execute them. D.B. : This is where I struggle to say anything other than, "I disagree," and where in so struggling, I say stuff like, "the way Lin constructs action sequences may not make perfect linear or geographic sense, but it makes total emotional sense," and point back to the sublime sequence in Tokyo Drift where Lucas Black has at long last learned how to drift, and he and the rest of Sung Kang's gang drift down the mountain. That sequence is the Rosetta Stone for the entire series in terms of both the previously mentioned tone and the way that the whole of a given action sequence in these movies may be more than the sum of its component parts. S.R. : I'd need to do some research to see whether this is the first time ever that the word "sublime" has been used with regard to this series. I certainly recognize that it's filling a gap in contemporary movie-making—the souped-up action franchise built more on practical effects/stunts than CGI—that only the occasional James Bond film otherwise occupies. I've just longed to see a more gifted action director actually try to click those pieces in place. D.B. : Then, I guess this is a referendum on Justin Lin, in which case I'm the anti-Sabermetrics old person touting his intangibles ("I don't care what his Wins Above Replacement Director are, all I know is he swings from his ankles and hits those car chases outta the park!"). Also, I'm glad that this is coming into focus, because "I don't get why people like the Fast & Furious movies" is actually answered by "I don't think Justin Lin directs action well," because while the action isn't the whole appeal, it's inextricably connected to the remainder of the whole. The adrenaline inebriation pervades all aspects of these movies. S.R. : Forgive me if I've suggested this is all about my issues with Lin, since I bow to no one in my disdain for le cinema du Rob Cohen [director of the original Fast and the Furious]. Lacking a connection with the intangibles you see, I'm left with two possible ways into these movies: their effectiveness as old-school action moviemaking (which I contend is minimal) and the unique appeal of this multicultural makeshift family. And maybe the latter would work better for me if they didn't keep hammering the word "family" (though I have a sneaking suspicion it's gonna get a little dusty in theaters at the end of Furious 7 as a result of real-world events). D.B. : As someone for whom the word "family" conjures images of lawyers, passive aggression and wordless decades-long feuds over literally nothing, I actually like how corny and heavy-handed the "family" thing is in the F&F movies. It's of a piece with every other element. They're big, loud movies that regard subtlety as a forgotten successor to the Model T. Obviously, their appeal isn't universal (just their studio), and shouldn't have to be. But those of us onboard the proverbial 12,000-horsepower Dodge Charger driving through the top floor of the figurative office building can attest: It may be an acquired taste, but once acquired, it's one you'll never let go of.